As one of the final pieces of business at the IAFF 54th Convention, delegates voted on the site for the 56th Convention in 2022. Delegates overwhelming voted in favor of Ottawa, ON Local 162’s bid to host the 2022 Convention. As delegates at the IAFF Centennial Convention were hard-at-work writing the next chapter of IAFF history, Professional Fire Fighters of Wisconsin (PFFW) President Mahlon Mitchell, who is running for governor of Wisconsin, took time away from the campaign trail to join his fellow union brothers and sisters to commemorate the 100th anniversary of the union. During the second day of business at the IAFF 54th Convention, delegates passed resolutions to resource the IAFF to provide affiliates with the tools and services needed to win political fights, preserve members’ health and safety and assist members and their families when disaster or tragedy strikes. In addition, delegates approved a total of $0.98 in per capita increases, including a $0.33 increase for inflation, bringing the total to $14.57 per member per month. Delegates at the IAFF 54th Convention welcomed a voice of solidarity and unity from across the pond Tuesday. General Secretary of the United Kingdom’s Fire Brigades Union (FBU) Matt Wrack congratulated the IAFF and Convention delegates on International’s 100th anniversary while expressing solidarity on issues including trade unionism and fire safety standards. 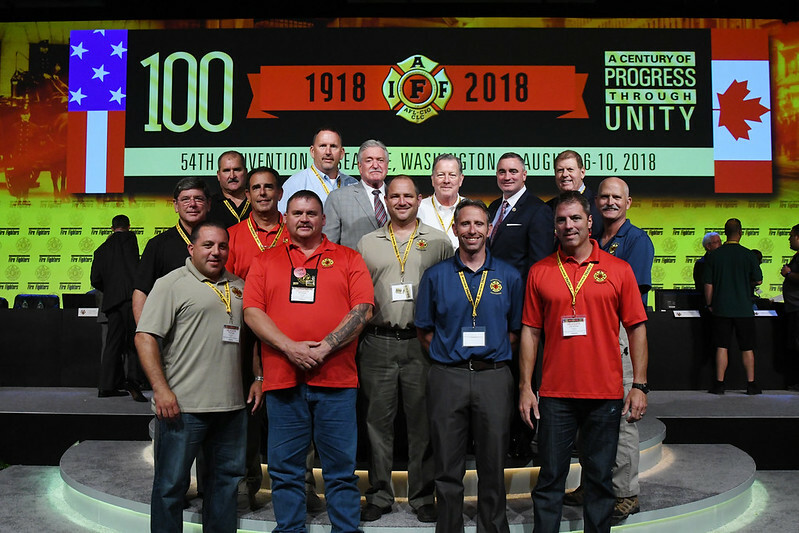 At our #IAFFCentennialConvention, we asked emeriti officers here in Seattle to share their thoughts on how the fire service and the IAFF have evolved and about important milestones that occurred during their tenure.